Chevron party printables to make your own black chevron pinwheels! These chevron pinwheel printables coordinate with all of our chevron party decorations to create a chevron party. Or, use these chevron printables to compliment any party theme for birthday parties, wedding showers, weddings, and baby showers! Use as pinwheel party favors or party decorations to make your celebration day a very special day. This party printable is an INSTANT DOWNLOAD! 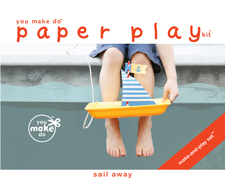 After receiving your order, a link to this You Make Do® pdf printable download will be automatically e-mailed to you. Begin printing as many as you wish right away! Mix and match! These pinwheels are available in many colors. Order several pinwheel printables to match your party colors and make a multi-colorful celebration with your choice of cheery colors. 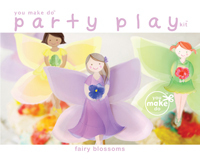 After your celebration, use your handmade pinwheels to decorate a child's room too! Pinwheels are approximately 4.5" in diameter. We love the inspiration found on the Giggle Hearts Blog and Brenda's Wedding Blog for creating Halloween decorations with these pinwheel printables! Check out these creative posts to see how to make more simple and fun decorations with his Halloween printable kit!